You would think that the second F&B establishment to open under the Proof & Company Spirits umbrella, after its wildly successful speakeasy 28 Hong Kong Street, would be yet another cocktail bar. Crackerjack, though, is a curious hybrid of bar, restaurant and coffee shop that offers more. So much more. 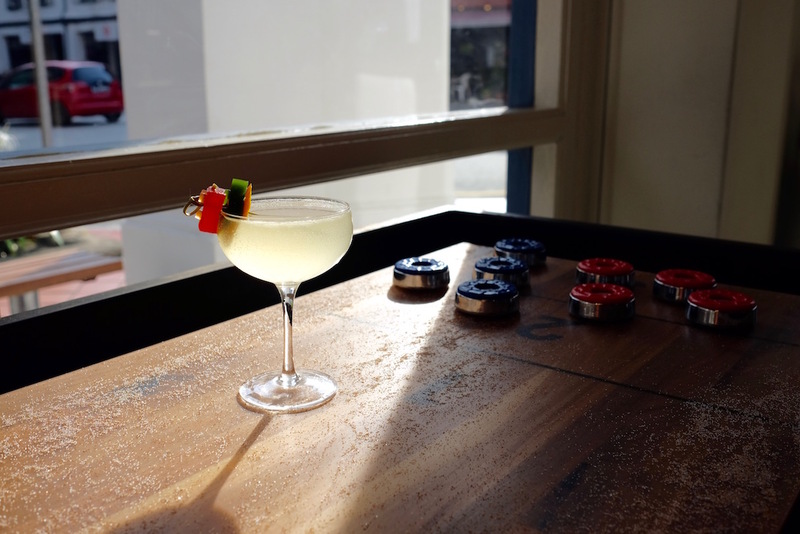 Crackerjack, located along Tanjong Pagar Road on the fringes of Singapore’s Chinatown district, is a coffee shop, restaurant, and bar all rolled up into one. In the day it operates like a hipster co-working space; the smell of good quality coffee beans permeates the air, a convivial atmosphere of laptop keyboards clattering, hushed conversations, and the occasional laughter. The coffee programme led by award-winning barista Bronwyn Serna here, in particular, is probably one of the best offered in the area. 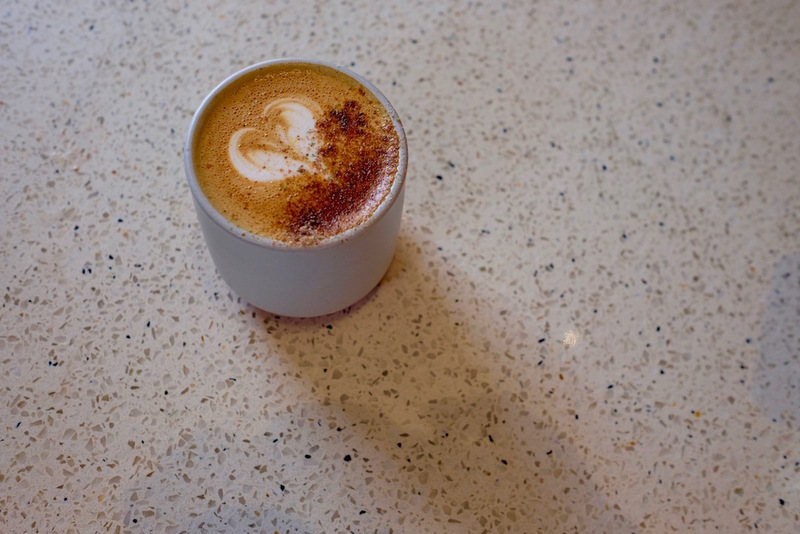 Filtered single origin coffee and espresso based coffee drinks featuring a custom blend from local roasters 2 Degrees North ensure that mobile workers and office drones in the area get their caffeine fix in the mornings. The Breakfast of Champions ($6++, above), a latte that uses grated cereal and cereal-infused milk, is also cheeky fun. As lunch swings by, the kitchen rouses from its more sedate breakfast pace into a fuller swing. 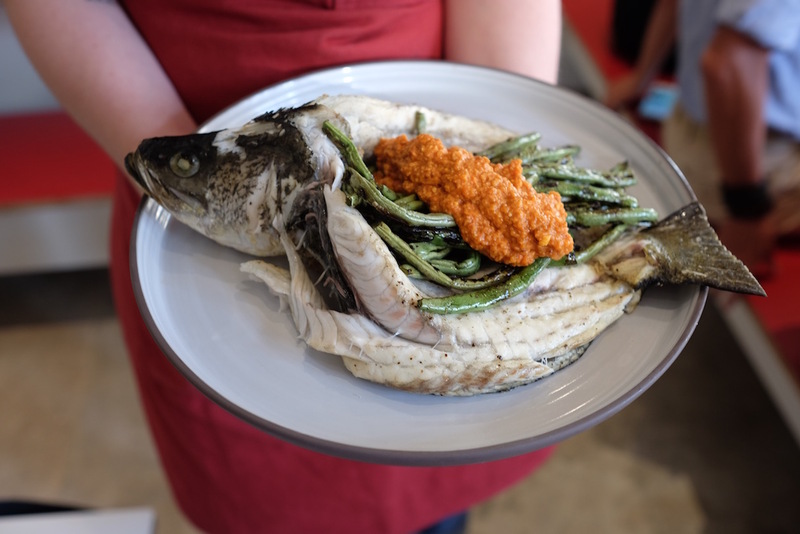 Chef Alysia Chan – previously from Meatsmith and Cocotte – puts out various lunch plates that are full on flavour but does not weigh heavily in the stomach, perfect for avoiding food induced coma post lunchtime. The Chermoula Chicken ($20++) is inflected with Middle-Eastern influences, while the Lentil Mushroom Scotch Egg ($18++) reinvents the Scottish favourite. Lunchtime is also when the cocktail bar starts to liven up – its Highballs ($16++) are popular with those who need a tipple during lunch; the grape version, with a jasmine base and a hit of cognac, is particularly popular. But its when evening comes that the bar gets really busy. 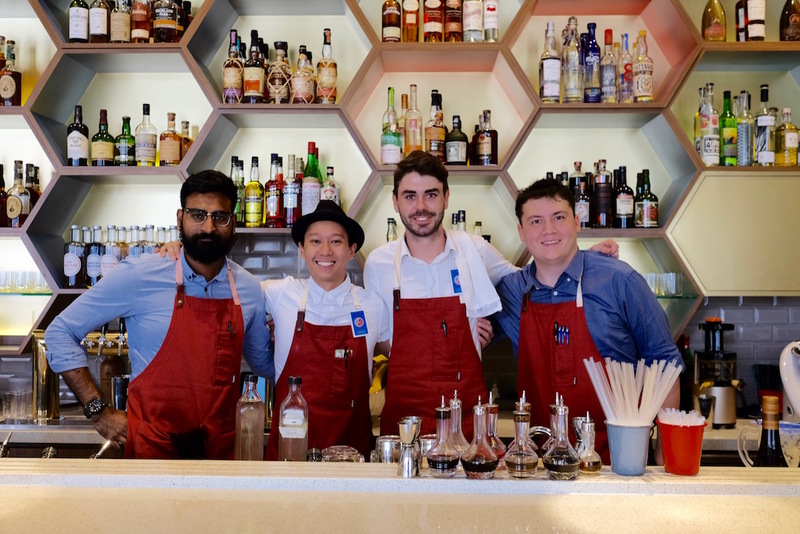 The bar is co-led by Peter Chua and Zachary de Git, both who are powerhouses in the local cocktail circuit. And the cocktails show – the simple appearances of the cocktails at Crackerjack belie the amount of preparation that goes into each one of them. Everything Is Awesome! ($18++), for example, has Lego brick-like garnishes made from watermelon and basil with gelatin that’s the result of some culinary magic; the drink itself – made with gin and vermouth – really is quite awesome. Even the classic Rum Old Fashioned ($20++) sees a blend of different rums before being introduced to demerara sugar – not just simple syrup – and chocolate bitters for more complexity than your usual version. By now the kitchen is also running at full speed, and it’s not bar snacks they’re putting out – not even the classier bites offered by its elder sister 28 Hong Kong Street – but fully fledged meals that’s surprisingly family-friendly. The chermoula chicken reappears here family-size with the Whole Roasted Chicken ($58++) that comes with a boatload of sides; the grilled Local Barramundi ($24++) explodes with the freshness of the sea, and there’s even enough vegetable dishes make even the most introverted vegetarian happy, such as the delicious Zucchini Faro Salad ($8++). If that’s their aim, we daresay they may have just hit on a winning formula. Crackerjack is located at 43 Tanjong Pagar Road.